An elderly medical alert can literally save your elderly parents life. It's a scary thought but it's not uncommon for seniors to fall and not be able to get up or to a phone for hours. Instead, they lie on the floor waiting for neighbours, friends or family to hear their calls for help or happen to stop by to check in. No one wants to receive a call from their parent's neighbour saying they found their loved one on the floor and they had been lying there for hours. It's a scary situation but not uncommon. I've met more seniors than I care to remember who have been unable to get up from the floor after a fall, out of the bathtub and even off of the toilet! Hopefully your parents are never in the situation where they need to use an elderly medical alert; but if they ever need it, it can prevent discomfort and possibly save their life. It's like buying insurance, hopefully you never have to use it but you're happy you have it when you need it. Elderly medical alerts are two way communicators between the user and an emergency contact. They are designed for seniors living in their own home. 1) Pendent or Bracelet - Worn by the user and can signal for help by pushing a button. Some models also have a fall detection feature which automatically calls for help when it detects a fall. 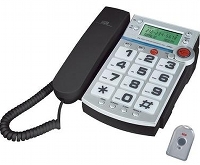 2) Base Station - Connected to the phone line and automatically calls an emergency call number when the pendent/bracelet button is pushed or the fall detection sensor has been triggered. If the senior falls or cannot get to the phone for help, all they have to do is push the button on their bracelet or pendent. The emergency response person tries to communicate with the senior via the base station - much like a speakerphone. If they cannot hear them, the emergency response person contacts someone designated as the first contact as well as the local emergency response service (ie. 911). These systems have prevented hours of suffering and have even saved lives. *They only operate within a limited range of the base station, much like a cordless phone range. They are also called Personal Emergency Response Systems, Medical Emergency Response Systems, Medical Alert Systems as well as product names such as Lifeline. Most seniors want to continue living in their own home for as long as they can. Having an elderly medical alert system in place is one step in enabling them to do so. Not only is living in their own home preferred, it is typically more affordable than moving into senior housing. Anyone who spends part or all of their day or night alone and is at risk for falling or having a medical condition preventing them from getting to a phone to call for help. I personally know many seniors who have used elderly medical alerts to call for help after falling. I have also known many seniors who have spent hours on the floor waiting for someone to check on them before they have been helped. If your parents are living alone or spend part of their day or night alone, it is incredibly valuable to be able to call for help 24 hours a day / 7 days a week by pressing a button on a bracelet or pendant. Peace of Mind - For both you and your parents - each of you knowing they can call someone for help if they need it is one less thing to worry about. 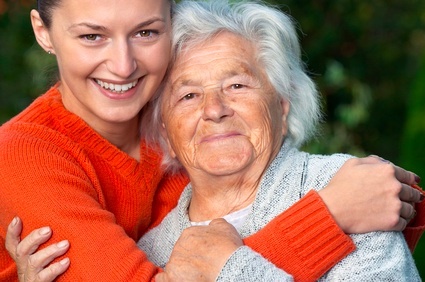 Independence - At a time in your parent's life when they may feel like they're losing some of their independence, it's important for them to know that they have the ability to call someone for help if they need it. An elderly medical alert can sometimes make the difference between a senior continuing to live independently and having to move to more supportive housing. There are number of different companies that offer elderly medical alerts so it can be a bit confusing as to which one to purchase. First Step - Decide on the Type. Second Step - Decide on the Features. Third Step - Decide on the Company. Let's first discuss the different types of products and services. The user buys the device and has to set it up. They also have to program emergency numbers and contacts themselves. There is not an emergency call centre open 24/7 but numbers can be programmed to automatically call family, or neighbours or emergency services if the button is activated - much like the speed dial feature on a regular phone. Advantages: One time fee and no monthly fees. Disadvantages: The user or the family has to set it up, test it periodically and be available to respond to emergency calls. I do not know of a company that sells this type of device that has a built in fall detection feature. This is the most common and well known type. The user pays a monthly fee and receives the device, access to an emergency call center and support (such as monthly or quarterly tests). Advantages: The company sets it up, tests it regularly and has a 24/7 call center to respond to emergency calls. They also have models that have a built in fall detection feature. Some home alarms have an option to add an elderly medical alert to the system. It works much the same way as the device/call center type. The user receives the device, use of the emergency call center and support. Advantages: This option may be more affordable than the device and call center type as the fee is added to the home alarm system fee. They are similar to the device/call center type except some of their models may not be as small and convenient. Ask to look at the device before you decide to make sure it is something that your parent will wear. Disadvantages: Monthly fees. It is also a service provided by a home alarm company so they are not focused solely on elderly medical alerts. This may or may not impact support and service depending on the home alarm company. Fall detection may not be a feature. Not all elderly medical alert systems are the same. 1) Light and Comfortable - The pendents and bracelets need to be comfortable so the user wears it all the time - in the shower and even in bed. If they feel it's uncomfortable and take it off while sitting in their chair or in bed, they may forget to put it back on and are at risk of falling without it available. 2) Simple Design - It should be very easy to use. All the user should have to do is push the button and the base station should do the rest. Make sure it has a large push button that is easy to locate (with and without looking) and easy to push. The unit should also be easy to test. The device/call center types do the testing for you. 3) Works Even When the Power is Out - Falls can happen any time, and even more so when the power is out at night and the home is without adequate lighting. 4) Long Battery Life - Pendent and bracelet battery life should last months. 5) Durable and Waterproof - The pendents and bracelets need to be durable enough to be worn everyday and all day. They need to be waterproof so users do not take them off at any time. They may forget to put it back on and water can add an extra falls risk. 6) Fall Detection Sensor - These are newer models which have sensors that detect a fall and can automatically call the emergency call center. Of course, users can also push the button to call for help. The main advantage to the fall detection models are that the user may become unconscious and unable to push the button. This could be either the result of the fall or even the cause of the fall. *I highly recommend the new fall detection features as it's even more urgent if the user is unconscious or confused enough to not push the button right away. There are more and more companies providing either just the device or the device and call center. There are so many companies - and more joining the market every year - it's hard to recommend just one or two companies. Reliable and Trustworthy - Contact the local health centre and ask who they recommend. There are many different providers and some are more reliable than others. In some local communities, there are non-profit organizations that provide this valuable service and use highly qualified staff to assist you in arranging this service. In Good Standing with the Better Business Bureau - Check with the local Better Business Bureau or Chamber of Commerce to see who they recommend. Offers the Device/Service You Want - Not all companies offer the same device and service. Some companies have not added models with fall detection features which I highly recommend. Prices for elderly medical alerts can range from $25 to $75 a month, depending on the service and features included. Some states or provinces provide discounts or even cover the entire cost of the elderly medical alert system if there is financial need. Check with your local health authority or your doctor to see if there are any government programs that cover the costs. Can't I Just Use My Cordless Phone? We all want to find ways to save money. However, cordless phones are not a good substitute for an elderly medical alert system. Seniors will not carry a cordless phone everywhere they go and even if they did, it may not be within reach if they fall. What about in the shower? The closest the phone will be is on the counter and that may not be close enough. Do you think they will take it to the bathroom at night? What about when the phone's battery needs to be charged? Elderly medical alerts become like a watch or pendant that do not need to be taken off. They are light, comfortable and fully waterproof. The new elderly medical alerts can also detect a fall and automatically call the emergency call center - without even pushing the button! You never know when a fall or slip can happen. It's best to be prepared. As mentioned above, some home alarm system companies have their own elderly medical alert system. Some of these systems are just as good as stand alone elderly medical alert systems. The only feature that they may be slow to add is the fall detection feature but some companies may already be adding these models too. They often cost an additional monthly fee. What does the future look like in terms of elderly medical alerts? 1) Monitoring - Motion and pressure sensors in the home that relay information to a computer which analyzes the data. The system will then report data to care providers notifying them if there is something they should be concerned about. 2) Reminders/Prompts - Users will be reminded to take medications, turn off stove, brush their teeth and many other tasks. 3) Answer Questions - Provide information to the user such as weather, date and other information. This may be a helpful feature to seniors suffering from memory loss. 4) Arrange Household Duties - The system will be able to prompt the user to order more groceries by monitoring food consumption, when medications should be reordered, which groceries to buy and many other household tasks that need to be completed. 5) Reactive AND Proactive - The idea is to monitor individuals daily activities and contact care organizations or emergency services if there is a change in behaviour. It can also alert care providers if there is a sudden or gradual change in behaviour. This can signal to increase care supports or indicate to care providers that the individual needs to be reassessed. 6) Long Distance Monitoring - The system will allow care providers and family members to monitor their loved one from a distance. Did they get up from bed at their regular time? Did they take their medications? Are they doing their regular daily activities at their regular times or are they still in bed (suggesting they may be feeling unwell)? There are a few companies that already provide these types of services but I predict more and more in the coming years. This is beyond the scope of this article but worth looking into if this interests you or your loved ones. 1) GPS for Wanderers - GPS technology combined with elderly medical alert systems. This allows carers to locate their loved one and for the user to call for help if they need it. 2) Home Wanderers Alert Systems - These signal care providers that a user has left a specified area such as a bedroom at night. 3) Medical Alert Bracelets - If your aging parent has an extensive health history, it's a good idea to have a medical alert bracelet. It is an effective way of notifying health professionals of their health conditions. 4) Bed Alarms - These signal caregivers that the senior is getting out of bed. This is useful for seniors who are at high risk of falling or are wanderers.